Antique Chinese Art has been an important part of the international art market for many years, both for institutional and private collectors. These pieces are still valued today for their beauty and rarity. China has more than five thousands years of glorious history in the culture of traditional crafts. Among others, some of the most representative items are below. These are a brilliant reflection of the Chinese culture, for many the epitome of Antique Chinese Art. The pieces retain their value well and are nearly always quite collectible. Made with varied metals, antique Chinese jewelry often uses jade or coral, though cinnabar has also been used. Traditional jewelry included pendant or hairpins, and common decorative motifs are birds, floral designs, and dragons. Many of these pieces are desired by collectors, and they generally sell well although may have a range of value. These well known pieces are often stylized landscapes, trees or people showcasing the traditional culture. Delicate and with fine color, these Chinese art pieces are breathtaking. Chinese porcelain antiques were often first made for utilitarian purposes for wealthy homes and families. Like fine china is used today, these pieces would set a table or be part of a beautiful tea service. Many are highly sought after, but reproductions are rampant so consult a dealer who knows Chinese antiques. Generally decorative porcelain containers (open or capped) these were designed in a wide range of shapes. The styles varied among different emperors and dynasties, and more intricate ones are often but not always more valuable. Even ones made since the turn of the 20th century can still be collectible, especially ones elaborately decorated. These pieces are an integral part of Chinese culture, and date from at least 1000BC. 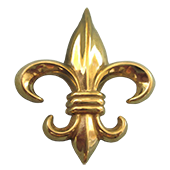 They were usually used officially and privately as seals and represented authority and power. Many are still highly collected and valued. Snuff bottles were originally used by the upper Chinese class as containers to snuff tobacco, as a remedy to medical conditions. First introduced in early 16th century (when after establishment of the Qing Dynasty tobacco smoking was banned) and soon became an art object represented status and wealth. These are still sought after and may fetch a fair price at resale. Asian Pill Boxes are small antique collectible treasures, which are made of several materials and are greatly decorated with various techniques. Enameling is the decoration technique in which a glass is fused under or to the surrounding of a laying metal. This art has been practiced since ancient times and there are several types of Chinese antique enameled pieces available. 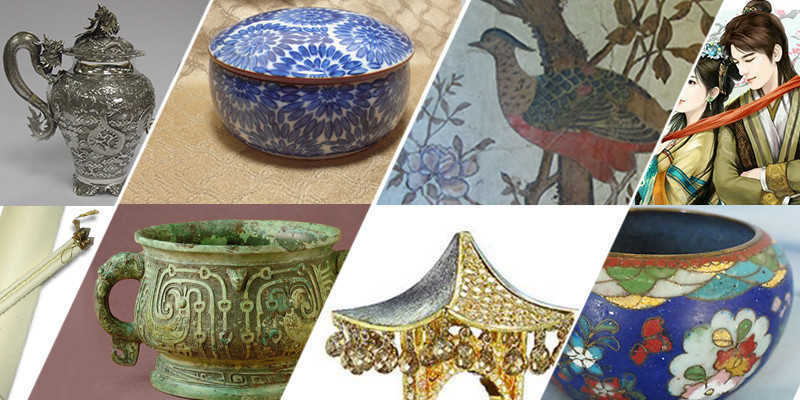 Among the most known antique enamel techniques is the Cloisonné enamel technique, but other antique objects are also made based on this technique. These objects are decorated with the ancient enameling decorative technique of Cloisonné. This technique applies decorative enamelwork between silver or gold wires on a metal base. Antique Cloisonné that can be found are vases, jewelry, lamps, bowls and several decorative objects that can be in various shapes and sizes. Made of paper, parchment or papyrus and either painted, drawn or written, their initial purpose was mainly basic text, although some were for decorative use. Attached to the bottom of the scrolls wooden dowels are usually found and at the top of them, thin pieces of wood with cords are attached in order to hang the scrolls. Some scrolls may have silk edges or silk backing. But scrolls that are actually painted on silk are rare. Historically, these screens were decorative furniture items that were placed after the emperor’s throne. They eventually began being used in ordinary households as well, as room partition or to shield wind from doors or open walls. These vary in value, and due to many modern remakes should be checked by a professional dealer well versed in Asian and Chinese antiques. You can call us to fix an appointment and we will visit at your place. We are headquartered in Sarasota but We also buy chinese antique art in Osprey, Bradenton, Venice, Englewood, Nokomis, Ellenton, Palmetto, Tampa, Clearwater, Winter Haven, Lakeland and St Petersburg on prior appointments.